The Philadelphia Folk Festival returns to the Old Pool Farm in Upper Salford Township near Schwenksville, PA this weekend for its 55th year. The longest continuously running outdoor music festival of its kind in North America is a unique combination of music, showcases, workshops, crafts, children's activities, camaraderie, and community. The Philly Folk Festival features both traditional and contemporary folk music on a variety of stages during the day and on the Main Stage each afternoon/evening. In addition to the rest of the lineup, dozens of Philadelphia-area acts will also take the stage at this year's fest. Some notable headliners include: Anderson East, The Lone Bellow, Del & Dawg, The Stray Birds, Buckwheat Zydeco, and Los Lobos. If you can't make it out to the farm, iradiophilly will once again be Broadcasting LIVE from the Main Stage Friday-Sunday. This is now our 5th year broadcasting from Folk Fest! 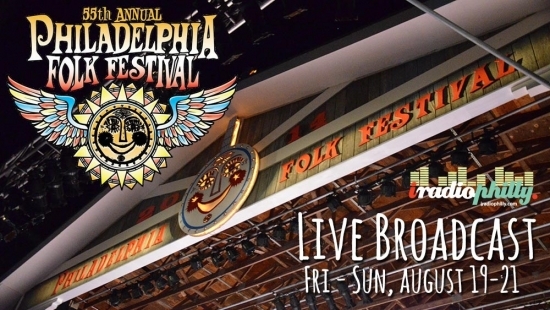 For more information about the LIVE Stream go to: http://www.iradiophilly.com/folkfest. We start at 2 p.m. on Friday.